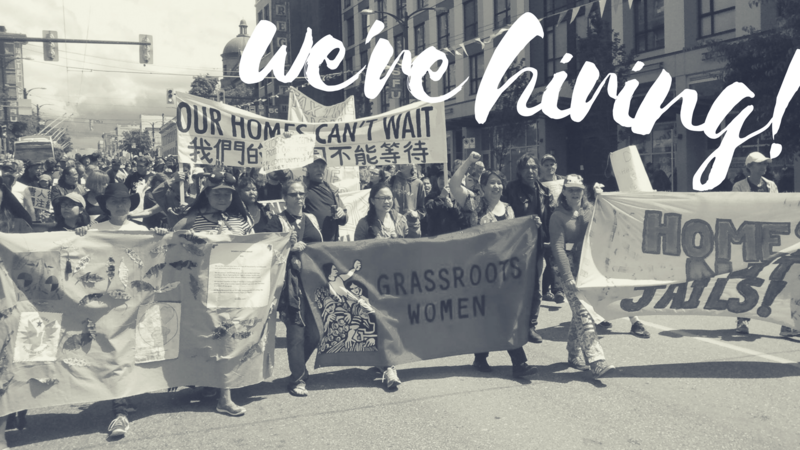 The Carnegie Community Action Project (CCAP) is looking for an administrator/coordinator to work with their other staff and volunteers to help low-income Downtown Eastside residents implement their Community Vision for Change. This includes working for more and better housing, higher welfare rates and to stop gentrification. This is a full-time position for at least one year with the possibility of longer if funding permits. CCAP has 3 part-time staff (one working with Chinatown Concern Group) and many volunteers engaged in several projects. CCAP is accountable to the board of the Carnegie Community Centre Association. Ensure voicemail messages are taken from the office phone and are followed up. Ensure that minutes of meetings CCAP organizes are kept and that staff and volunteers take on the agreed upon actions. Organize low-income residents to attend rezoning and development application hearings and to speak out through other venues like news conferences. Track actions of city hall, province and federal governments related to poverty, housing, gentrification and homelessness. Many of the tasks will be done in collaboration with other CCAP staff members and experienced volunteers. Ability to use a computer for research, emails, formatting flyers, posters, Facebook, etc. This is a full-time position, 40hr/week. Pay is $24/hour. Two references who are familiar with your work and community involvement. Please keep the entire application, including cover letter, in one file. Only people who are shortlisted to be interviewed will be contacted. We encourage people from underrepresented groups to apply for the job including trans and gender variant persons, Indigenous persons, persons of colour, persons with disabilities and low-income Downtown Eastside community members. We will prioritize these applications in the hiring process.